Locals Judy Laspada, Val Ropes, Andrea Eddy and Doug Russel socialize at Two Elk during the annual Pink Vail fundraiser for Shaw Cancer Center on Saturday, March 24, in Vail. Vail Mountain was pink and white on Saturday, March 24, as new snow greeted thousands of revelers celebrating the world’s biggest ski day to conquer cancer. The Shaw Cancer Center’s seventh annual Pink Vail fundraiser brought in more than $880,000 this year. 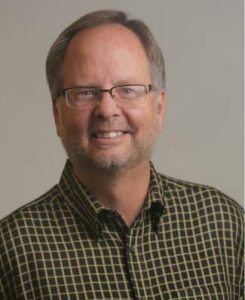 Had the event been held one day earlier, it might not have went off so well, longtime Vail doctor Jack Eck said on Saturday. There was not a cloud in the sky as Eck said the annual party, and the fact that it’s a fundraiser that “doesn’t involve any arm twisting,” makes Pink Vail Saturday among his favorite days of the year. “So many people benefit from it,” he said. Eck is the namesake of Jack’s Place, an Eagle County cancer caring house that provides posh services in a picturesque mountain setting. Among the new benefits to those recovering from cancer at the Shaw Cancer Center and Jack’s Place is a lifetime of oncology rehab, totally free, courtesy of funds raised at Pink Vail. 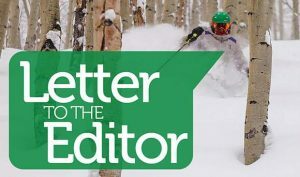 Exercise physiologist Sarah Giovagnoli said the free program is unlike any other in the U.S.
With ski trips as a part of her plan to stay active in recovery, cancer survivor Abby Pertzborn of Madison, Wisconsin, comes to Vail every spring. Pertzborn was diagnosed with breast cancer at age 34. She’s now 38. Dressing as a mermaid with a pink survivor cape, Pertzborn won the best costume contest this year. “I think it was the cape,” she said. Eck said in addition to the added benefits the Pink Vail fundraising has provided, he has enjoyed watching Jack’s Place evolve in ways he wasn’t expecting. Shelly Wilcox, who has been to Jack’s Place dozens of times in her fight with breast cancer, said she didn’t expect the disease to bring to her a group of lifelong friends. 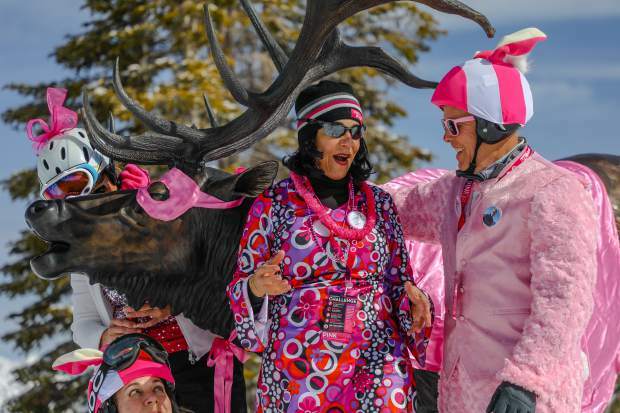 Recognized every year as a celebration of pink attire and fundraising for cancer survivors, Pink Vail may have been best symbolized by Colleen Costin of Eagle-Vail. She solicited cash donations from generous guests of Vail throughout the day, stuffing the contributions into her oversized pink brazier. Costin said she was participating on behalf of her friend Robyn Spethrie, from whom Costin has learned much about what it means to be a survivor. The most recent struggle with cancer for Spethrie is coming in the form of leukemia, stemming from the radiation treatment she received in her first bout of cancer. “She’s doing OK, but she’s a little tired and couldn’t raise as much this year,” Costin said. Nevertheless, Spethrie’s name was announced among the top-10 fundraisers this year, where she finished seventh, raising $12,716.